So day 1 we were allowed to use the motorway, and some of managed to start drinking beer at about 12:00 before we left. A question of perspective but day 1 was mostly ok, apart from the “oh let’s visit a wine yard near Malmo” we meant we traveled in ever decreasing circles until we found it (felt like approx 150kms). Then of course they were either not there or knew we were coming so hid in the cellar. We then drove in ever increasing circles and called it a day back near the bridge we had driven over 4 hours previously. Good place to camp, mosquitos were very happy we were there. All slept quite well, and after having unpacked and repacked the car a few times we set off. Swedish road signs do take some getting used to, which we haven’t yet done. 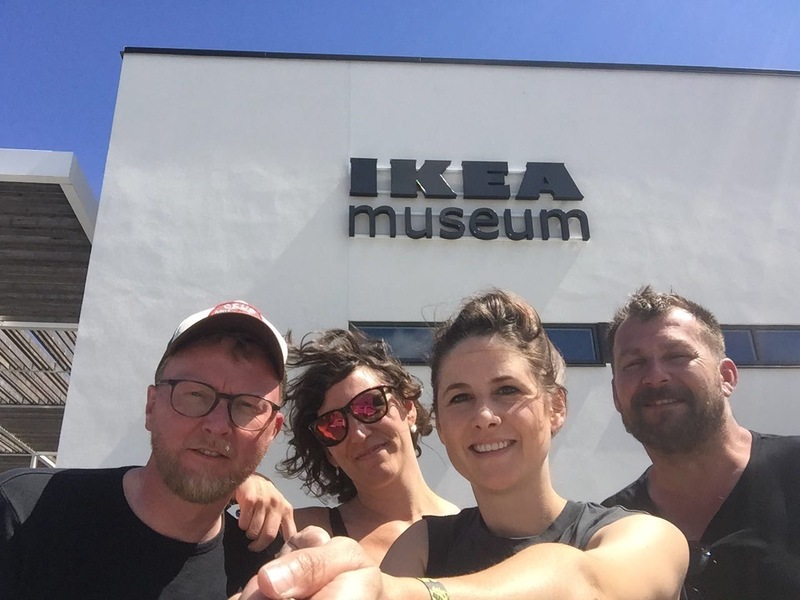 Today we were supposed to visit the car graveyard of in Ryd, which with a bit of effort and a total unplanned (we were lost) visit to the IKEA museum we managed. 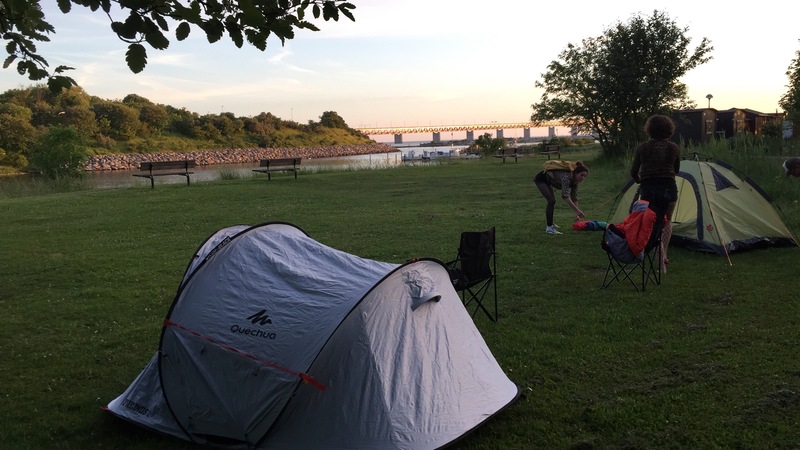 We followed our previous method of drive in circles and hope we get somewhere, which was a little chaotic but has worked, we are now camping for the evening by the cloister in Vadstena. The grill is on, the tents are up, the beer tastes good, so enough for today.